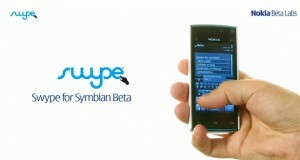 To beta version of Swype for S60 5th edition can be found on BetaLabs Nokia and it’s a good deed for giving your feedbacks on the app before going fianl. For the S^3 you can get the Swype through Ovi Store. The updates are for both. There are new language packs for S^3 and Nokia updated the application from the Ovi Store. The updates that were included on Swype app for S60v5 were still on beta phase, thus, you could find the app from the betalabs.